The Museum is housed in what was once a Victorian Needle Mill which means it is a typical three story building with stairs. However, most parts of the museum are accessible and there is a slope leading to the main doors which does have hand rails on both sides. This leads in to the main gallery where our temporary exhibitions are held, which is no problem for wheelchair/mobility scooter access and there are no stairs to negotiate. The Basement (where we start the story of how a needle was made) is also accessible avoiding stairs. The staff are happy to show you the alternative route into the basement. The Scouring Mill where you see the waterwheel machinery and scouring beds has two floors connected by some steep winding stairs. 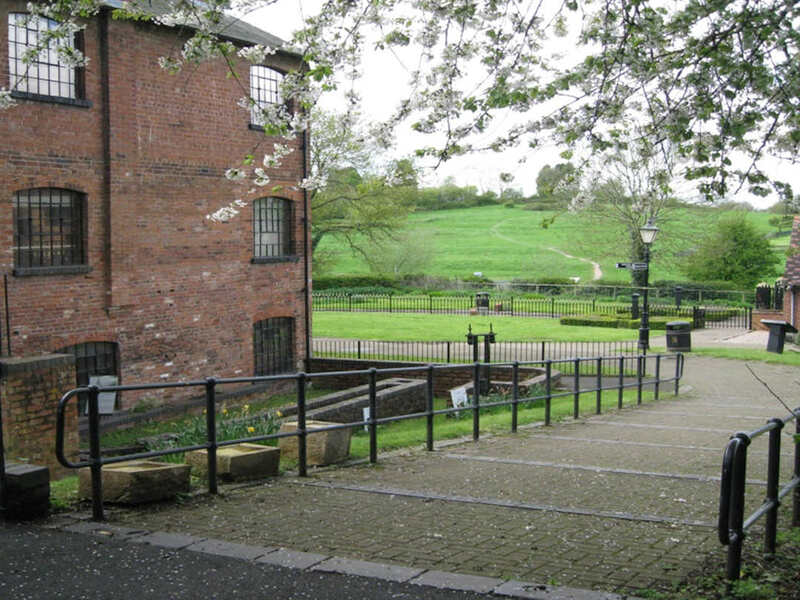 The ground floor of the scouring mill is fully accessible by wheelchair/mobility scooter. The top floor shows just the same scouring beds that you will see on the ground floor and is accessible for those with limited mobility issues. The Top Floor of the museum, unfortunately, is not accessible to wheelchair users. But we have developed an Interactive Guide to the top floor – funded by a grant from the Worshipful Company of Needlemakers – which shows photographs of all the exhibits which are in the cases and also the beautiful company needle/fishing tackle displays. 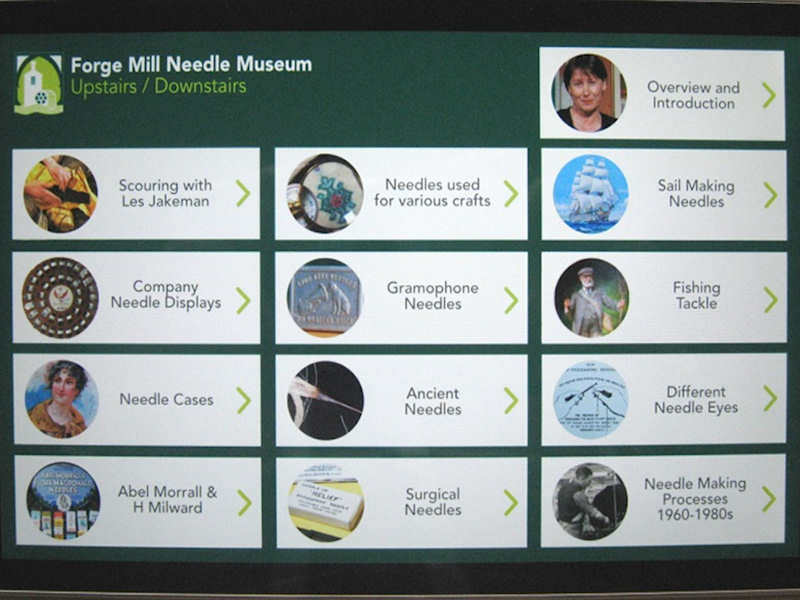 The Guide, which runs on a tablet, also shows video clips that talk about some of the exhibits in more detail as well as showing the Introductory DVD (that all our customers see) and an extra DVD that charts the history of needle making from medieval times through to modern production methods. The ramp up to the Needle Mill Building. Interactive Guide to the Needle Museum. The visitor centre is situated in what once was a medieval barn. All the Ground Floor is accessible by wheelchair users; however access to the Top Floor is only by a staircase. We have a book which shows photographs of the displays on the top floor. The Cloister Area – where we have the large medieval timbers on display – is also fully accessible to wheelchair users. The ruins of the medieval Abbey are in the meadows adjacent to the museums’ grounds. 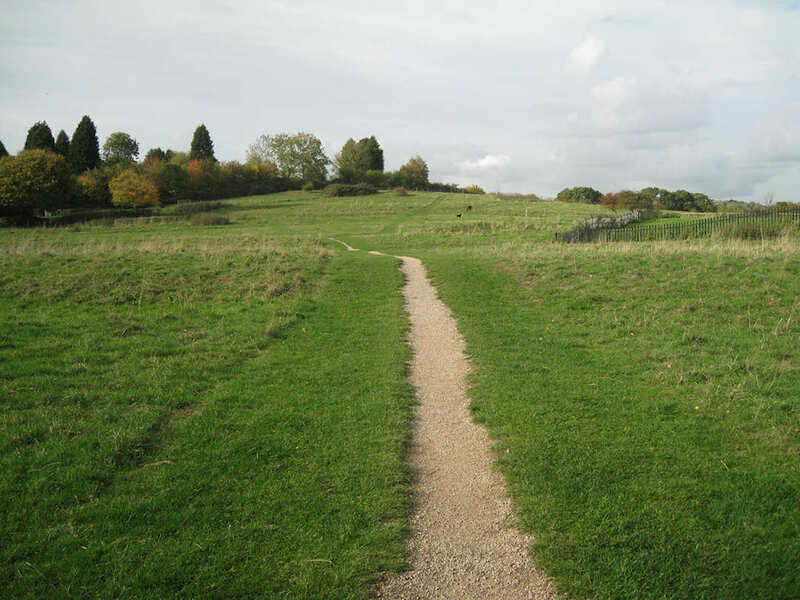 There is a path that leads to the Abbey, but it is over uneven ground due to the nature of the site. Once inside the ruins, the ground is again exposed and uneven in places. You can see more photos on our Bordesley Abbey page. Pathway to the Bordesley Abbey ruins. The museum has designated car parking, toilet facilities and a manual wheelchair available. A hearing loop and guides in Braille and large type are available on request.